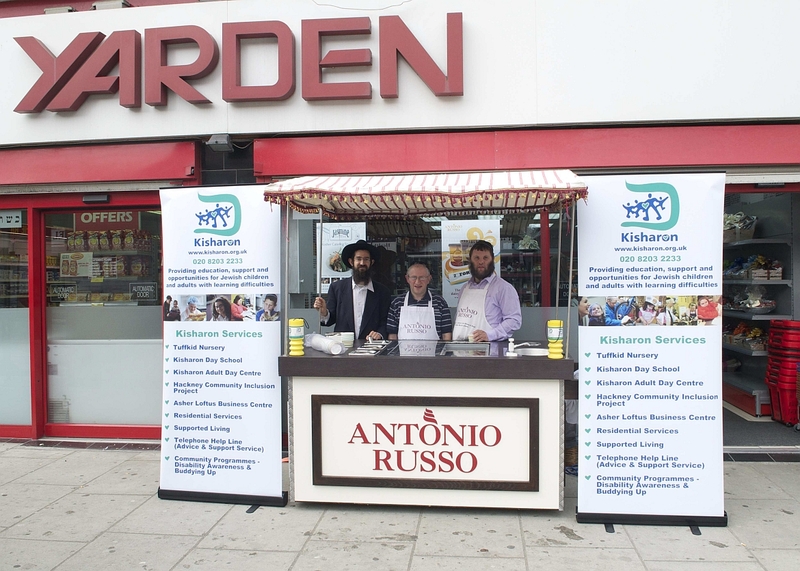 To celebrate the Jewish New Year (Rosh Hashanah), Antonio Russo partnered with Kisharon for a special afternoon giveaway from the Antonio Russo Vintage Cart, outside of Yarden in Golders Green. Our master iced dessert chef, Cynthia Dea, developed a special sweet new year flavour, Cinnamon Honey, for the occasion. With help from volunteers, staff and patrons of Kisharon, we gave away free scoops of Antonio Russo – to help raise some donations for the exceptional work of Kisharon in the Jewish community, providing support to people with learning difficulties and their families. We thought long and hard as to what we could name the flavour, and provisionally decided on “Cinnamoney”..! We wish all supporters of Kisharon, and Antonio Russo, as well as our friends at Yarden, and of course, you, a sweet, rich and healthy new year ahead. L’Shanah Tovah!